Serving the Byram and Terry communities. 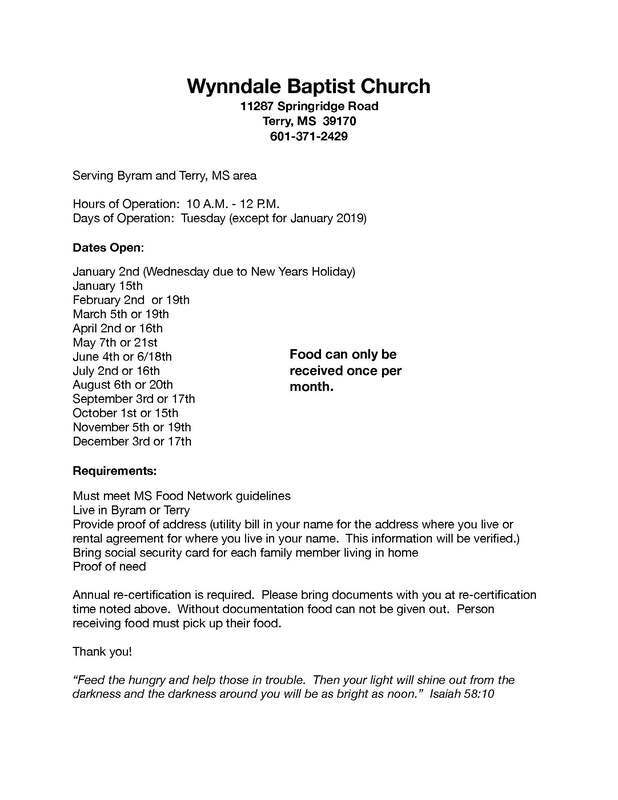 On the 1st and 3rd Tuesday of each month, during the hours of 10:00 a.m. - 12:00 p.m.
Meet MS Food Network guidelines. Bring Social Security number for each family member living in the home. Provide proof of your food need. Call the church office (601-371-2429) on Mondays to set up an appointment, or call anytime for more information.